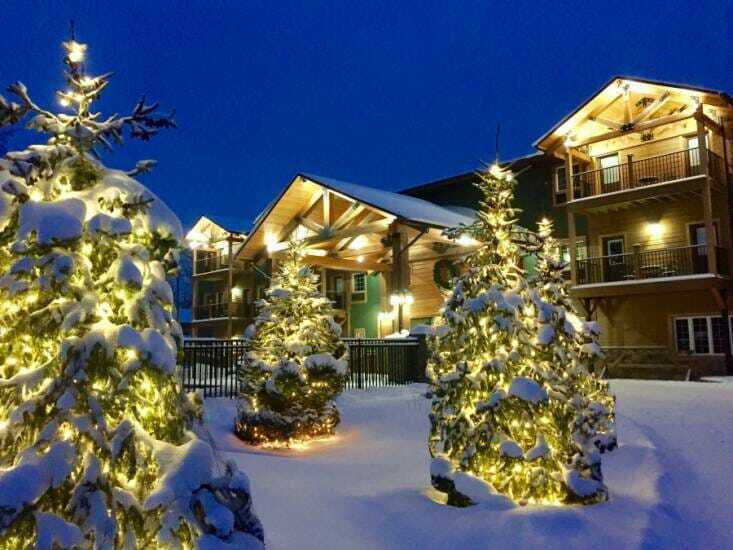 The Mackenzie Lodge is located right at the base of the slopes and next to the golf course! Guests at our 36 room lodge will enjoy ski-in/ski-out accessibility and the convenience of our outdoor heated pool, hot tub, and fire pit. The lodge also offers individual lockers for equipment storage (1 locker for each room) off the lobby of the hotel, with a built-in ski & snowboard boot drying system. Lockers are keyed to match your room key, and have enough space to store several sets of skis, boards, boots & poles. 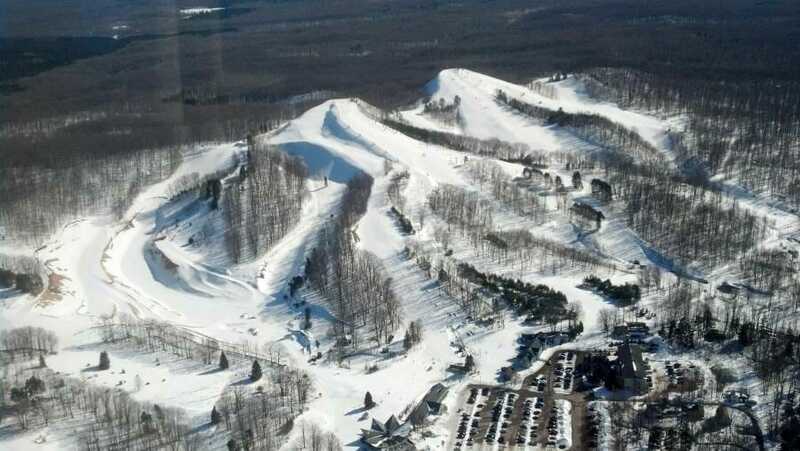 SKI: Voted the #1 ski value in Michigan by Ski Magazine, Caberfae Peaks offers the highest lift-served peaks in Michigan! 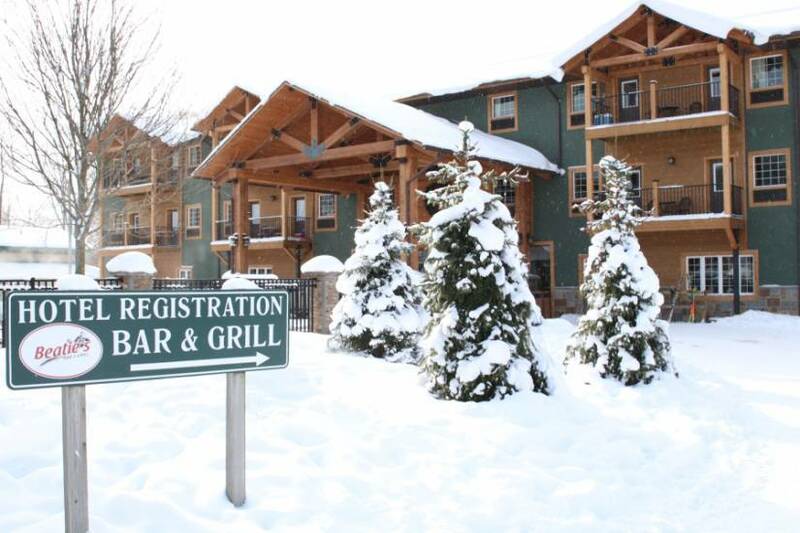 The slope side MacKenzie Lodge offers ski in/ski out accessibility, an outdoor heated pool, hot tub, fire pit, full service restaurant, and most importantly, a chance to truly get away from it all! GOLF: Nestled in the heart of the Manistee National Forest, the 9 hole "Peaks Course" takes golfers across 10 bridges as it winds it's way along a beautiful nature trail. Each hole has it's own unique personality, providing a new and exciting challenge and complete isolation from other holes. The well manicured golf course offers bent grass tees, greens & fairways and has a minimum of four tee locations to choose from on every hole. Striking views, giant 75 foot trees lining fairways, and miles of forested hills and valleys provide pure wilderness land for the golfer to enjoy. Meetings: Caberfae Peaks also offers a 16,000 sq. ft. ski lodge for summer wedding receptions, conferences & special events. During Spring/Summer/Fall offering the main lodge restaurant for smaller meetings, or groups that need large and small spaces. See our website for details on the amenities we offer.